When I saw this idea I thought it was really cute. 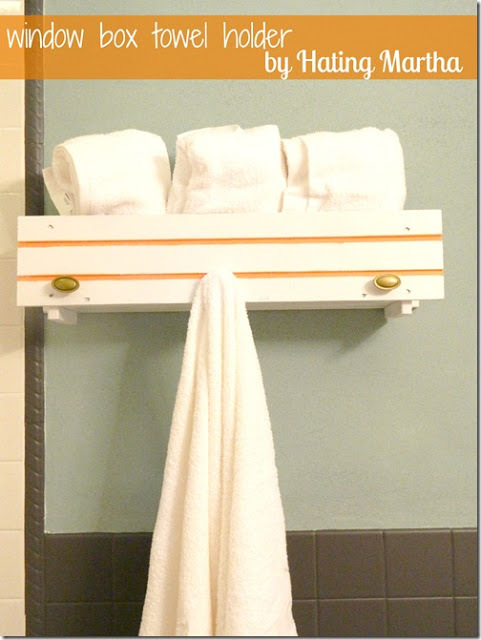 Using flower boxes to store towels in is a pretty smart, inexpensive and practical storage solution for a small bathroom. At first I thought window boxes could only work in rustic, country bathrooms, then I started thinking of all the different style boxes out there. My parents have beautiful ornate terracotta window boxes hanging on their balcony, I pictured how they would look filled with towels instead of flowers. I think their flower boxes would fit in perfectly in a Mediterranean style bathroom. If only theirs weren't filled with flowers I could test out the idea! 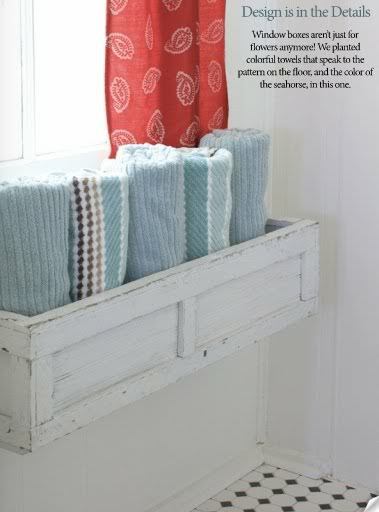 I think it would be fun to fill a window box with rolls of 1 or 2 shades of light pink towels and maybe a few light green wash clothes tucked between to give the look of flowers and petals. On the other hand, I bet if you got sleek stainless steel window boxes and hung them in a bathroom one above the other and filled them with crisp white, luxurious towels nobody would realize what they actually are. 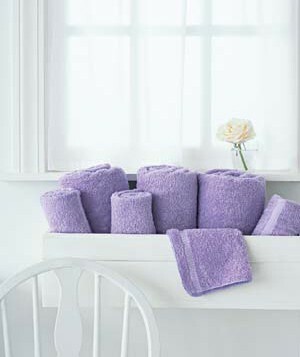 Hmmm...when spring hits I may just have to bring some towels with me to the garden centers to experiment. I like how they added knobs to the next window box to hang their bathrobes on.